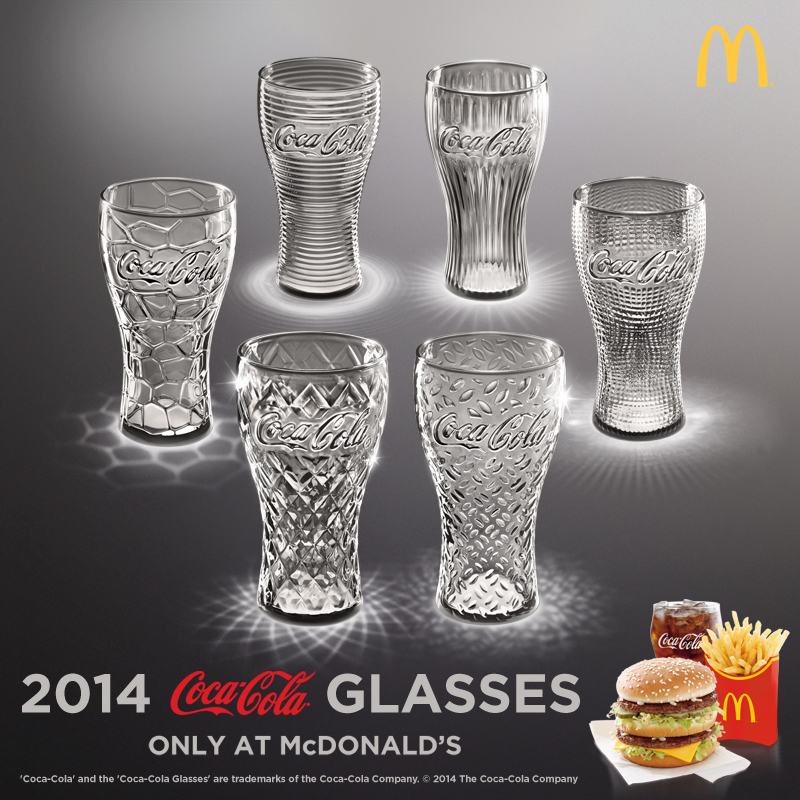 Coke lovers will be all smiles with the release of the 2014 Coca-Cola Modern Glass collection. And smiles will be even wider because it is only at P25 a piece (a real steal!) with a purchase of McDonald's Extra Value Meal! 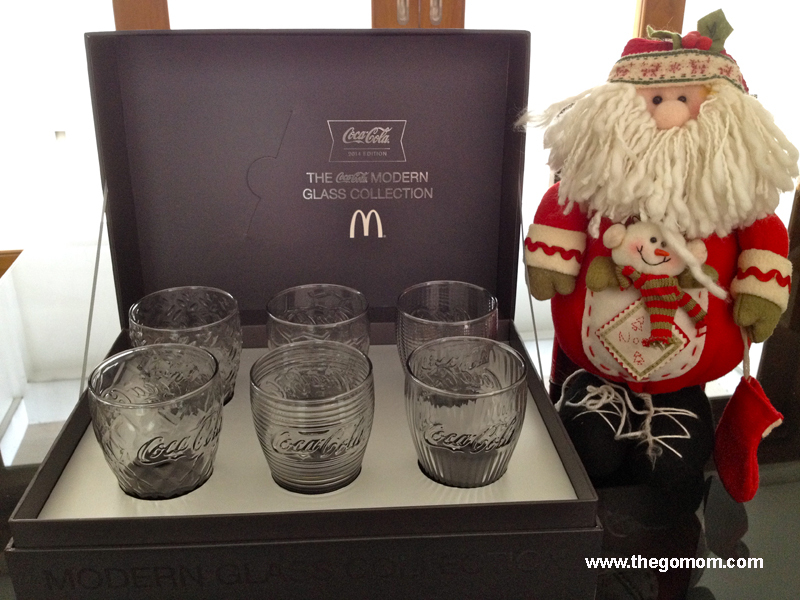 The 6 piece glass collection, which arrived at my doorstep one happy morning, fuses contemporary design with the traditional well-loved logo of Coca-Cola. This is the 7th year McDonald's Philippines brings to us Pinoys, Coke's iconic and much-collected Coca-Cola Glass collection. Through the years, Coke consumers from all over the Asia Pacific have collected close to 200 million Coke Glasses with various memorable designs, such as the 2008 Beijing Olympic Games, 2010 FIFA World Cup among others. It is my first CHRISTmas gift for 2014! Thanks McDonald's for fast-forwarding my Coke collection! 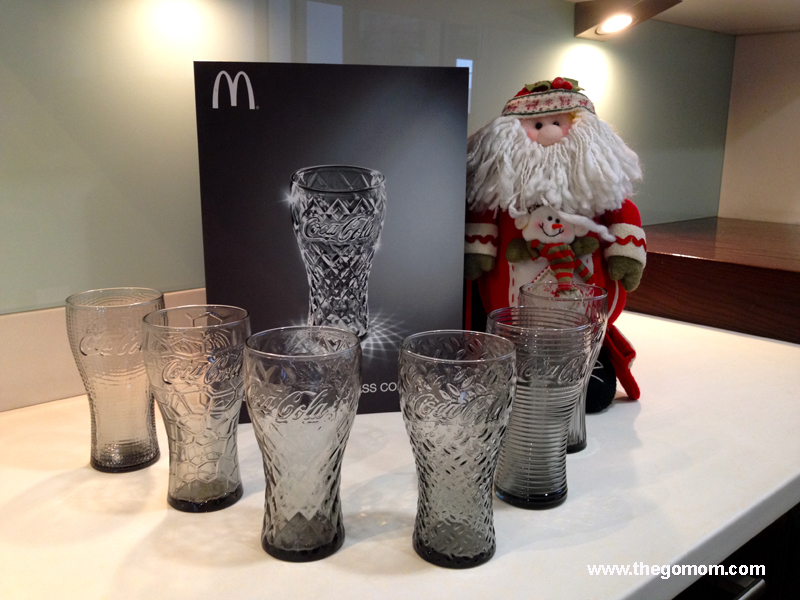 You can grab these beautiful Coke glass memorabilia exclusively at McDonald's stores nationwide via Dine-in, Take-out, Drive-Thru, McDelivery (86-2-36 and www.mcdelivery.com.ph) and the McDo PH App, all day, including breakfast hours. 13th Month Pay of Household Helpers: Is it Required by Law?